The series was handled by studio Gonzo and ran for 24 episodes between October 2004 and March 2005. 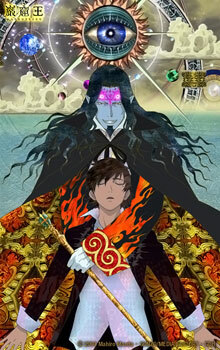 The anime is loosely based on Alexandre Drumas’ classic French novel Le Comete de Monte Cristo. You can read more about Anime Limited’s release over on their site right here.